The price of bitcoin is soaring. Coinbase, one of the services that makes it easy to buy and sell bitcoin, is soaring too – it’s now the no. 2 app on Apple’s iPhone App Store. Bitcoin has had a volatile ride over the past week, with prices for a single coin skyrocketing to as much as $US19,500 per coin at one point. The cryptocurrency’s wild ride is also boosting apps and services that enable people to buy and sell bitcoins. Coinbase, one of the most user-friendly Bitcoin services, shot up to the top spot on Apple’s App Store’s most-downloaded free app chart on Thursday. But like Bitcoin’s price, the App Store charts can be volatile, and it dropped to the no. 2 spot on Friday. 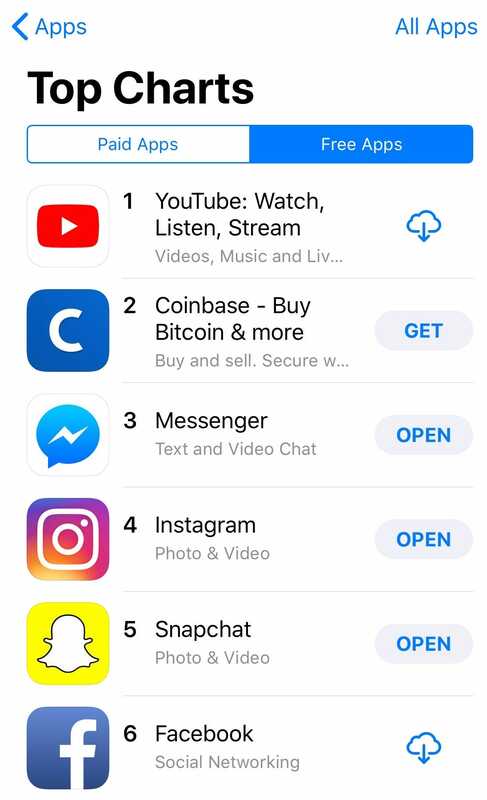 Coinbase was also a trending download, according to the App Store search page. One estimate from app analytics firm Sensor Tower looking at both Apple’s app store as well as Google’s suggests that new users installed the Coinbase app more than 575,000 times in the first week of December. That’s a 225% rise over the first week in November, where it was only installed 177,000 times, according to Randy Nelson, head of mobile insights at Sensor Tower. That’s a meteoric rise for an app that was the no. 216 free app in the United States on Apple’s store only a month ago, according to App Annie data. The influx of new users may be one reason that Coinbase has had trouble keeping its service working properly over the past few days – it could simply be deluged by new users. 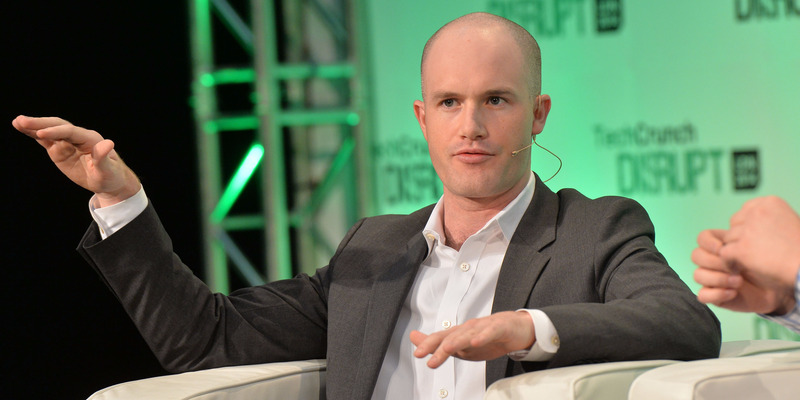 Coinbase said users had trouble logging in because of record-high traffic. After all, bitcoin’s rapidly spiking price is causing a bit of a mania, with lots of first-time investors seeing the large price swings and seeing a chance to play the cryptocurrency market. Here’s our guide to how to buy Bitcoin on Coinbase.